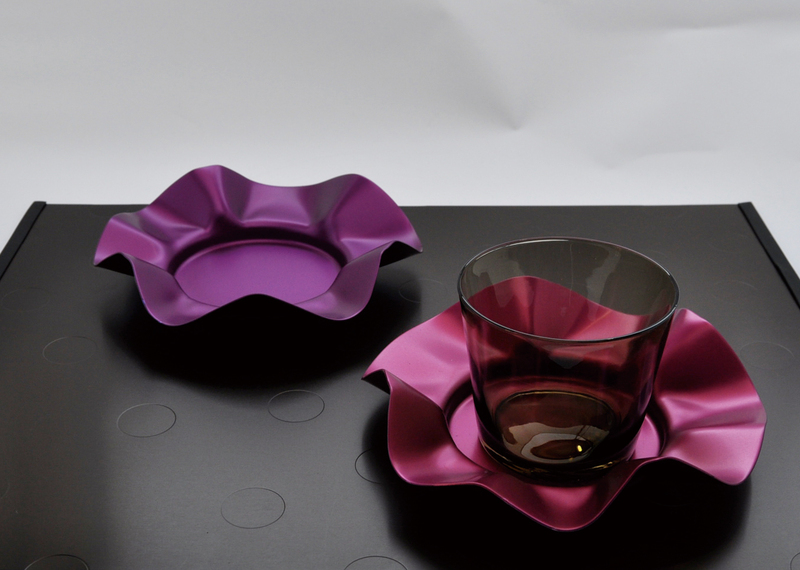 A simple way to dress up your dinner table, either formally or with a splash of casual luxury. Created by a Japanese manufacturer who specializes in very fine Aluminum art. 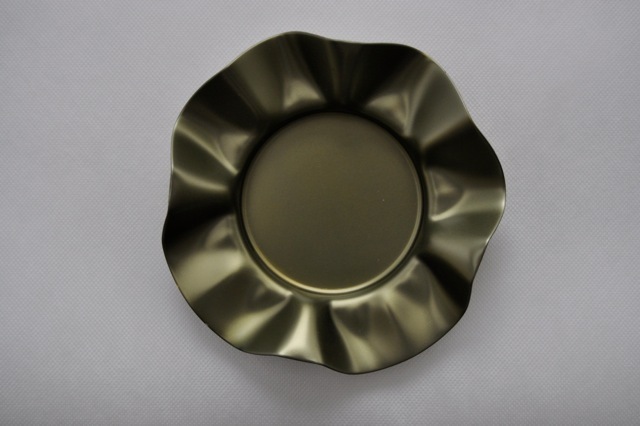 Each piece is individually made by high quality thin Aluminum plate. 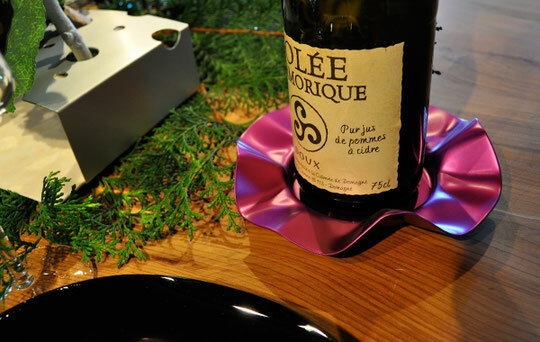 A good bottle of wine deserves a decent resting place on your table. 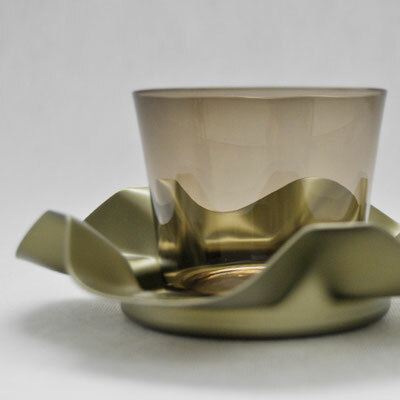 for practical use and is the perfect table décor. Silhouette of frilly circle, such as soft curves reminiscent lace ruffles. It appears only in metals, in sense of light and shadow. 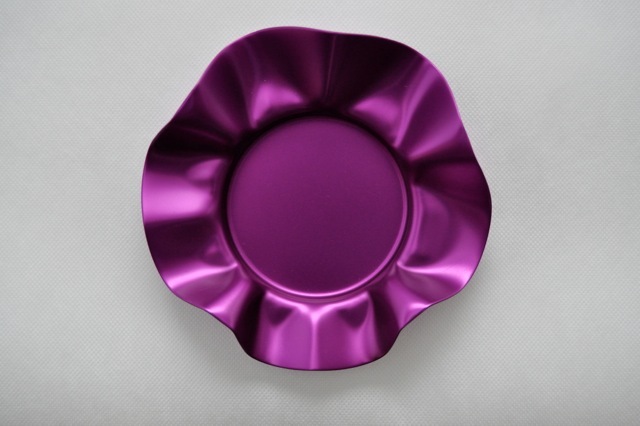 providing a slice of the soft luster of colorful aluminum on your table. 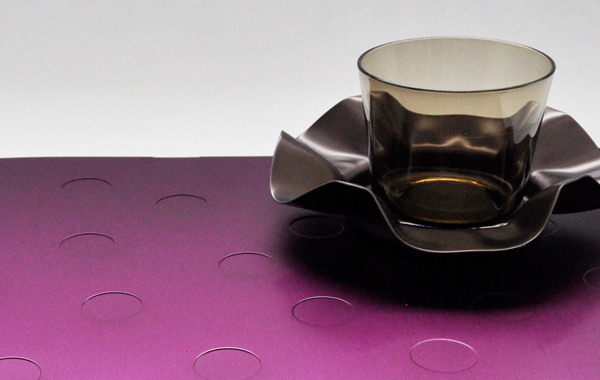 Elegant coaster features the frill edged. which has an attractive half-matte finish and a laser engraving Japanese traditional patterns, creates a perfect Asian decorate solution. *These have been used in Japan as a clothing motif for over a thousand years. ● Pinkcherry x Shippo (七宝) pattern - "shippou" means seven treasures, and the circle shape represents harmony. have been overlapped to only show the top portion o feach. and has been very popular as a auspicious omens motif. 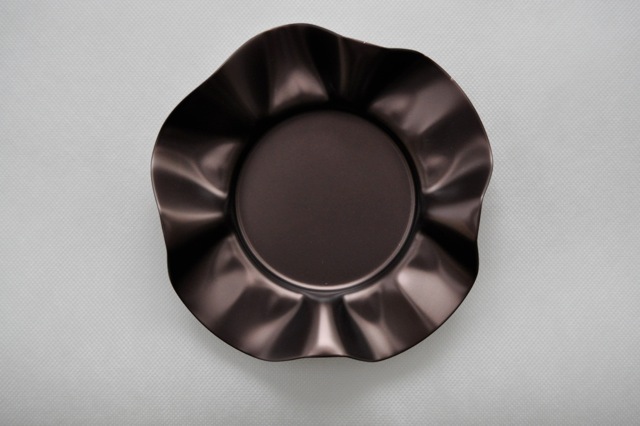 half-matte colors plate with a brilliant artistry. with a laser engraved Japanese traditional patterns. Marushin Material Co., Tochigi, Japan, founded in 1932.
released a brand "ALART" (ALuminum-ART) as a series of excellent aluminum design collection. design prize or grand design award continuously. and continue to accumulate their creativity.